Fisherman have a unique connection with each other that is rarely talked about. We are animal people! We love our dogs, cats, horses etc. Personally, I have three dogs, two cats, two goats and a horse and this takes me pet food shopping very often. Anglers buy ALOT of pet food and this gives us power as consumers to change the game. For those of you that have read my past blogs, you know that I am really into the conservation of forage fish (Think: Gamefish food) because I realize that our sport depends on this vital part of the food chain to exist. All over the world, smaller fish like menhaden, herring, anchovy, etc are being ground up and turned into fish meal and fish oil. The demand for high quality, inexpensive protien, omega -3 fatty acids and minerals is skyrocketing and forage fish are being rapidly and carelessly vacuumed up and depleted. The vast majority of these prey species have fallen through the cracks and regulations have yet to catch up. The commercial fishing companies are exploiting and profiting BIG by focusing on this exploding demand. For the purposes of this article, I will focus on for now, on how these fish are used in pet foods and what you should be on the lookout for. Walking down the pet food aisle in your local pet store is a mind blowing experience in itself. This is America, and we do things big. Colorful bags from floor to ceiling, ads on the floor, free sample bags at and coupons at the door. They know that once we buy a brand and our pets like it, we will stick with it. 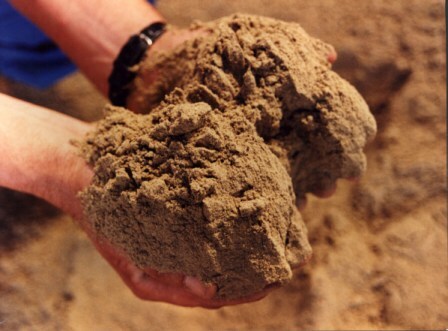 There are are hundreds of brands and special mixes to choose from. Don’t kid yourself, this is a 15 billion dollar a year business in the U.S.
Actually selecting a pet food requires alot of work and patience, something we are all short on.You flip the bags over on the shelf and read the ingredients and this is when my head just about splits open. Soybean Mill run, Powdered cellulose, Meat By Products, Animal digest, Chicken by product meal, Corn Gluten Meal. My favorite ingredients are something that they refer to as “Ocean Fish” and Fish meal. What exactly is an Ocean Fish? What type of fish is used? Where does it come from? how much is in the bag? What the heck am I feeding my dog? Its a daunting task. And as if this wasnt hard enough, the prices are really crazy. In this economy we are all cutting where we can but we still want the best for our critters. UGH. You wind up just grabbing a bag that fits your taste and budget and hope for the best. I am about to make selecting your pet food even more tricky. There is a good chance that the dog or cat food that you are currently buying contains fish meal and fish oil that comes from the very fish that our gamefish and everything else in the ecosytem relies on for survival. These forage fish are literally being taken right out of the mouths of the fish we catch. I have used Hills brand, Science Diet “veterinarian recommended” Adult maintenance dog food for many years. I actually had a black labrador retriever that lived for 19 1/2 years on the stuff! The label on the bag states that it contains, among other things, powdered cellulose, chicken by products, floor sweepings and all. My dogs like it, its priced affordably and its available locally.It didnt have any fish meal or fish related products in it, so I was good to go. I just had to check into this further. However, after entering my particular “light Formula” Science Diet food into the many consumer dog food rating sites online, it came out very low on the ratings scale. My dogs really deserve better food so my research continued. I decided to change foods, keeping in mind that it would be very hypocritical for me as “Joe Forage Fish” to use a non sustainable fish containing product so I wanted to be sure that the food I was selecting was, for lack of a better term-“green”. I buy my dog food 40 pounds at a time, so I figured Costco was the best place to hit. 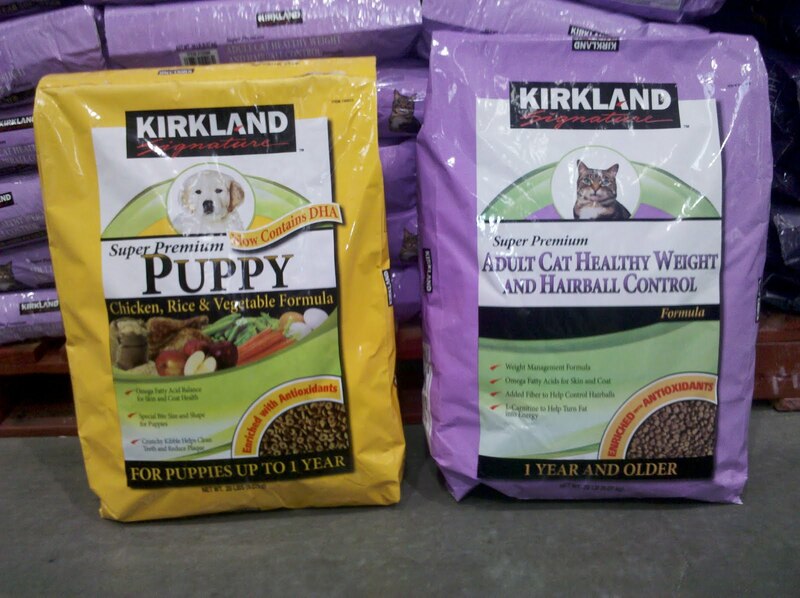 There were four different types of Kirkland, which is Costco’s house brand of dog food. All the bags, including the cat food had “Fish Meal” in the ingredients. I wasnt happy about this at all because the price was very good and the rest of the ingredients were much better as well. I went home and wrote an email to Costco and they had no idea what kind of fish was used, but they said they would find out for me and write back. This is where I learned about something called Co- branding, the art of one giant manufacturer that creates a product and then puts a dozen or more different labels on it, leaving the consumer in the dark about the actual source of the dog food. There are hundreds of different brands out there, but only a dozen manufacturers. Diamond is Kirkland’s manufacturer and they proudly reported back to Costco customer service that they only use the finest Atlantic Menhaden in all there foods. That was all I had to hear. Whole Menhaden fish, cooked and ground to a meal. Naturally preserved. Good source of protein, omega-3 (linolenic) fatty acids, and minerals. How could Costco, a company that boasted just last year of revamping there seafood product line to only include sustainable fish, be putting there name on a bag of dog food that comes from fish that are being unsustainably fished? The prices at the local Petsmart were much higher than the local feed type store so I checked the brands there. I met with the store manager and started asking questions about which foods she had on the shelf contained Menhaden. She had never even heard of the fish, nor was she familiar with the fact that these fish are being sustainably taken by the commercial fleets along the Mid Atlantic. How can you sell pet food for a living and not be aware of one of the key ingredients added to increase the protien and Omega 3 levels? By demanding better quality foods from sustainable sources. Reel Therapy Fly/light tackle fishing guide/Marine conservation advocate in the Sandy Hook NJ Area. Founder of Anglers Conservation Network and Menhaden Defenders.